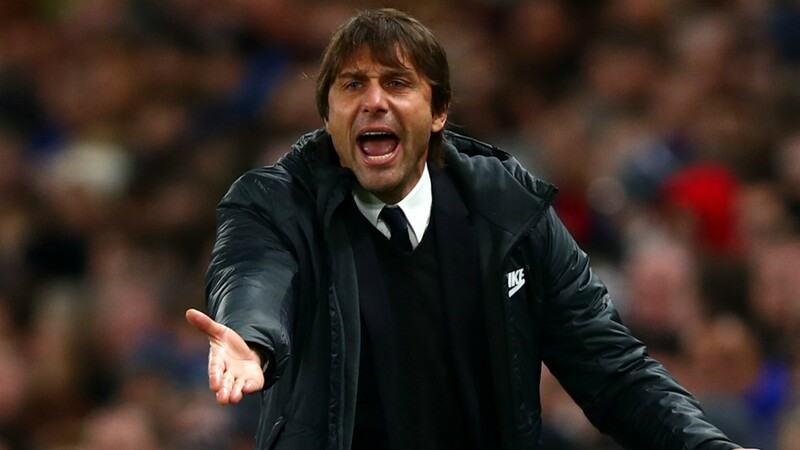 Chelsea go into Saturday’s lunch time kick-off away to the Saints having won their last four league games against the relegation threatened side but the Blues have never won five in a row against them. Antonio Conte’s men are still without injured defenders David Luiz and Ethan Ampadu but midfielder Ross Barkley is available after recovering from the hamstring injury that has kept him out since January. For the home side, defender Jack Stephens begins a three-game ban, while midfielder Steven Davis is expected to be absent with an Achilles problem. Mario Lemina should be fit despite missing out last weekend following an illness, while Shane Long is expected to overcome an ankle injury. Southampton have claimed one victory in their nine Premier League games against the Blues at St Mary’s Stadium (D2, L6), winning 2-1 in March 2013. Chelsea have won seven times in all competitions at the St Mary’s Stadium. The only visiting side with a better record are Manchester United, with 10 victories. Southampton have won only one of their last 19 league games (D9, L9), with that victory coming at bottom side West Brom on 3 February and they are also winless in eight home league matches (D5, L3), their longest such run in the Premier League. And for Chelsea, they have claimed just 12 points this calendar year – only four sides have worse records (Southampton, Huddersfield, Stoke and West Brom). Both clubs are in desperate need of a lift for very different reasons. While Chelsea look to lift spirits ahead of an FA Cup semi-final against Southampton, Mark Hughes’ team quite simply need to take something from the match with games running out for them to stay in the Premier League. Prediction: Southampton and Chelsea to play out a scoring draw. Leicester go into this game confident enough as they have lost only once in the last 12 league games against Burnley(D3, L8). However, the Foxes are already without Wilfred Ndidi, who completes a two-game suspension, fellow midfielder Matty James is out for the remainder of the season following surgery on his Achilles tendon and Vicente Iborra could suffer the same fate following a Hamstring injury. Burnley are again without defender Ben Mee, who is likely to be missing for several weeks with a shin problem. Johann Berg Gudmundsson is expected to return from a calf strain, and could replace Georges-Kevin Nkoudou, who is doubtful with a tight hamstring. Leicester has kept seven clean sheets during the last 12 meeting between the two sides and have restricted the Clarets to just six goals in total. Burnley have lost four of their last five home league games against Leicester, albeit they did win 1-0 at Turf Moor last season. Leicester are looking to complete a first top-flight league double over Burnley. Leicester were a little bit unlucky to get turned over by Newcastle last week, because they should have had a penalty and i don’t see them losing this one to a side that just doesn’t know how to beat them. Prediction: Leicester not to lose away to Burnely. Brighton have never lost a top-flight match against Crystal Palace, conceding just three goals in their five meetings at this level (W3, D2). Brighton welcome back winger Anthony Knockaert after suspension but they are now without the previously ever-present Davy Propper for three games following his sending off last weekend. Manager Chris Hughton has reported no fresh injuries for the Seagulls. Crystal Palace’s lengthy injury list is finally showing signs of easing. Joel Ward is available once again, while strikers Christian Benteke and Alexander Sorloth may be in contention should they pass late fitness tests. Crystal Palace have been beaten only once in their last eight league matches against Brighton (W4, D4), that’s if playoffs are included. Palace have lost only of eight games at Selhurst Park in all competitions versus the Seagulls (W5, D2), with that defeat a 1-0 loss in the Championship in October 2005 but Brighton beat Palace 2-1 in the FA Cup third round earlier this season. This is a pivotal game. If Palace win, I can see them finishing above Brighton, who still need another win for comfort. If the Eagles lose, they might need goal difference to stay up. It’ll be that tight. Prediction: Crystal Palace to win by a one goal Margin. Huddersfield will be looking to secure their first league double over Watford since the 1995-96 season when the two sides square off at the John Smith on Saturday afternoon. Huddersfield midfielder Jonathan Hogg was forced off with an ankle injury at Brighton but he returned to training on Wednesday, and is available. Ankle problems rule out Elias Kachunga and Danny Williams, and Michael Hefele remains absent with a knee injury. Watford could have Christian Kabasele available after a hamstring problem, and Craig Cathcart is also fit again. The Hornets remain without Nathaniel Chalobah, Younes Kaboul, Tom Cleverley and Gerard Deulofeu. There have been 32 goals scored across the last seven league meetings between these sides, an average of 4.6 per game, with both teams scoring 16 goals each. Predicting matches during the run-in can be foolhardy but psychologically at least, Huddersfield really have to beat Watford this weekend. The magnificent atmosphere at the John Smith’s Stadium has been a feature of the Terriers’ first Premier League season, yet it has witnessed just one home win in the last four months. Prediction: Huddersfield to win the game. Swansea will check on the fitness of Sam Clucas and Mike van der Hoorn ahead of Everton’s visit to the Liberty Stadium. Jordan Ayew returns from a three-match ban but Renato Sanches remains out with a hamstring injury. Everton’s Idrissa Gueye came through a substitute appearance against Liverpool last week and could be in line for a return to the starting line-up. Phil Jagielka should recover from a knock but Gylfi Sigurdsson remains out. Swansea have only lost one of their last seven Premier League meetings with Everton (W2, D4). Everton have conceded just three goals in their six visits to Swansea in the Premier League, and never more than once in a match. A run of one win in five has left Swansea with work to do to get clear of trouble and I am sure they will see this as a winnable game because of Everton’s poor away form however, Sam Allardyce will have other ideas in mind and i see neither side winning or losing this one. Prediction: The two teams will draw the games. Liverpool could never be in better spirits going into the fixture after making it to the Champions league semi finals in the mid-week but they still know that work needs to be done in the league for a better league finish in terms of position. They lay third but know Tottenham is hot on their heels and the possibility of finishing second is another prospect that will be watering their mouth. Their defenders Nathaniel Clyne and Ragnar Klavan are set to miss out with injuries, but Roberto Firmino should feature despite a neck problem. 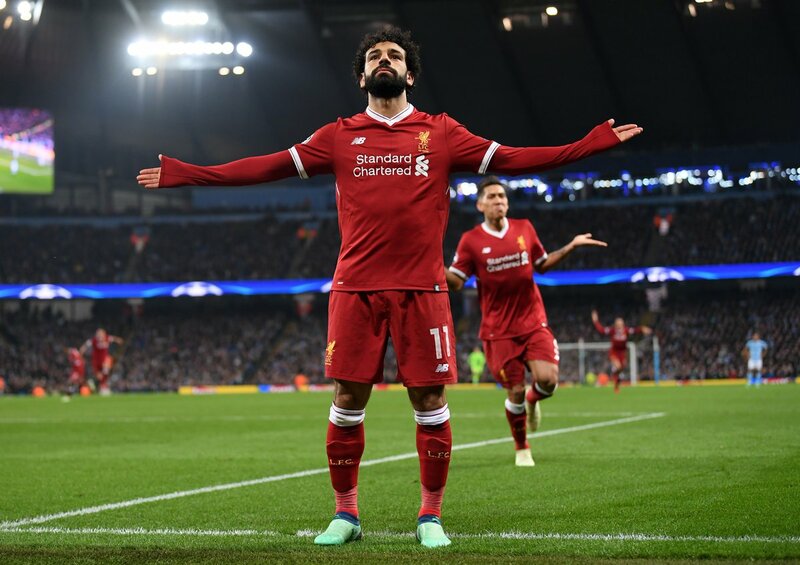 Mohamed Salah is fit after making his comeback from a groin issue in midweek, but Joel Matip, Emre Can, Adam Lallana and Joe Gomez are still sidelined. Bournemouth will be without defender Adam Smith, who has a knee injury. Junior Stanislas is out for the season following knee surgery, while Tyrone Mings remains out with a back issue. Liverpool have won three of their five previous Premier League meetings with Bournemouth (D1, L1), including a 4-0 victory in the reverse fixture in December. Bournemouth have only won one of their 12 previous meetings with Liverpool in all competitions (D3, L8), winning 4-3 at the Vitality Stadium in December 2016. There have been 19 goals scored in the five previous Premier League meetings between these sides, an average of 3.8 per game. Liverpool are unbeaten in their last 18 Premier League home games (W11, D7), the longest current streak in the division, and the Reds’ longest run since a 31-game sequence ended in 2009. The Cherries will come to Anfield and play an open game and I think that will suit Liverpool. Eddie Howe’s side are the comeback kings, but I don’t see that happening again if they fall behind this weekend which i think will happen. Prediction: Liverpool to win comfortably. 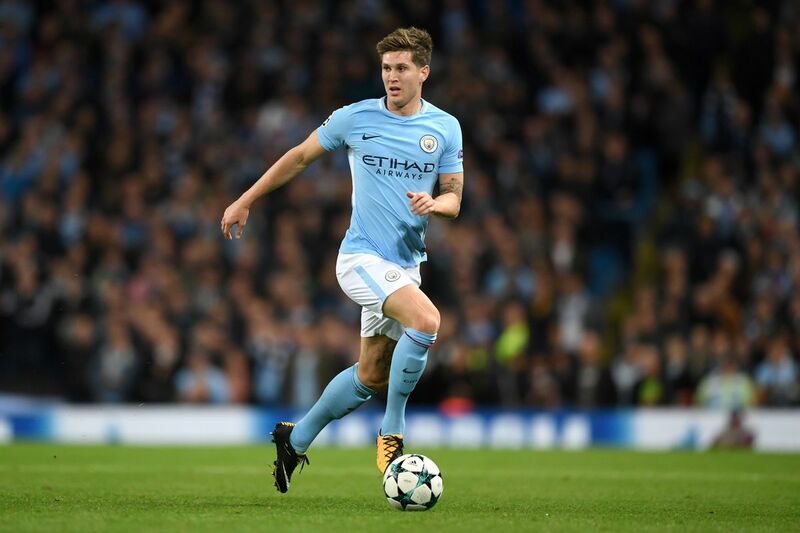 City defender John Stones will be making his return from injury this weekend. Let’s get this straight, Manchester City have been fantastic this season – unbelievable. They deserve all the accolades that should come their way for playing sensational football which has left some very good teams trailing miles behind but – and there is very definitely a ‘but’ – to win only two trophies barely reflects the majesty of the football they have played. City – almost unplayable for much of the campaign – have now lost half of their last 10 games. If they lose at Wembley it will be their longest run of defeats in 12 seasons. 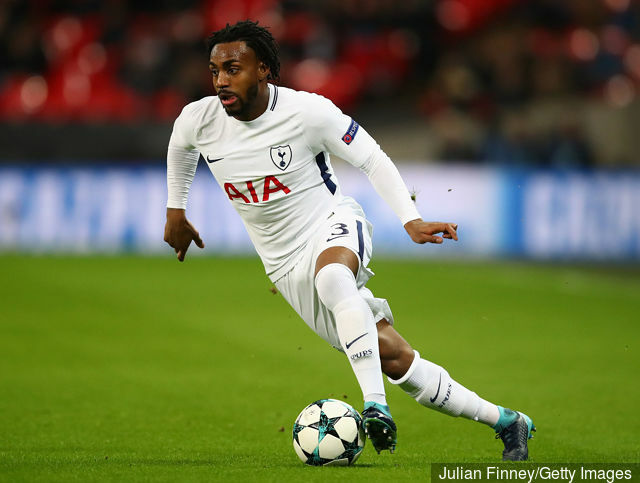 Tottenham left-back Danny Rose will miss Saturday’s game because of a calf injury, the Englishman sustained the problem after playing 90 minutes against Stoke, though his absence is not expected to be lengthy. Manchester City midfielder Fernandinho begins a two-game ban after accumulating 10 yellow cards. Top scorer Sergio Aguero will miss the game through injury, while defender John Stones is also unavailable. Manchester City have lost their last two games away to Tottenham, conceding six goals and scoring just once, although both of those matches were at White Hart Lane rather than Wembley. City beat Spurs 4-1 in December but that is their only win in their last five league games against them (D1, L3). Are Spurs good enough to extend City’s miserable run? They’ll be very confident that they are but i think City would take a draw after the week they have had. That will delay the title party a little longer, but they are still going to win the league – it is just a matter of time. Prediction: A scoring draw is the likeliest result and i think it will be the final result. Rafael Benitez has a fully-fit squad to choose from and could name an unchanged lineup from the one that started at the King Power Stadium, although Islam Slimani is available for the first time since joining on loan from Leicester after recovering from injury. With Ayoze Perez having scored in each of his last two matches, Dwight Gayle’s place may come under threat from the Spanish forward. 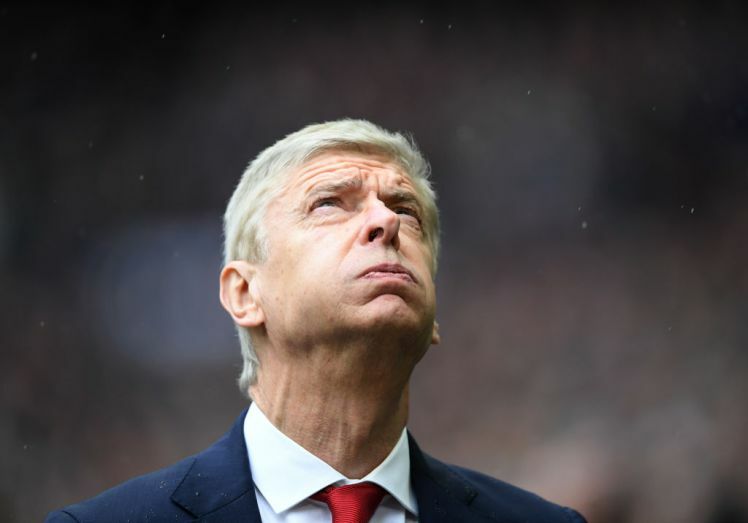 For Aresnal, their manager Arsene Wenger is likely to rotate his squad again but may not make as many changes as he did for the 3-2 win over Southampton as the first leg against Atletico is not until April 26. Wilshere and Aaron Ramsey are both carrying niggles so Muhammed Elneny may start, having had his red card against the Saints overturned. Granit Xhaka may also be recalled after missing the trip to Moscow through illness. Arsenal have won all of their last 10 league games against Newcastle, although the last three have all been by a narrow 1-0 scoreline including in December when Mesut Ozil’s goal. Newcastle’s most recent home victory over the Gunners came back in 2005 courtesy of a Nolberto Solano winner, but they do have fond memories of coming from four goals down to draw with Arsenal back in 2011, with the long-range equaliser coming from the late Cheick Tiote. This should be the opportune moment for Newcastle to end their losing streak against the Gunners, who could suffer from a Europa League hangover after a trip to Russia and back. They have been flimsy on the road anyway, without the excuse of extra miles in their legs. Prediction: Newcastle to win at home. 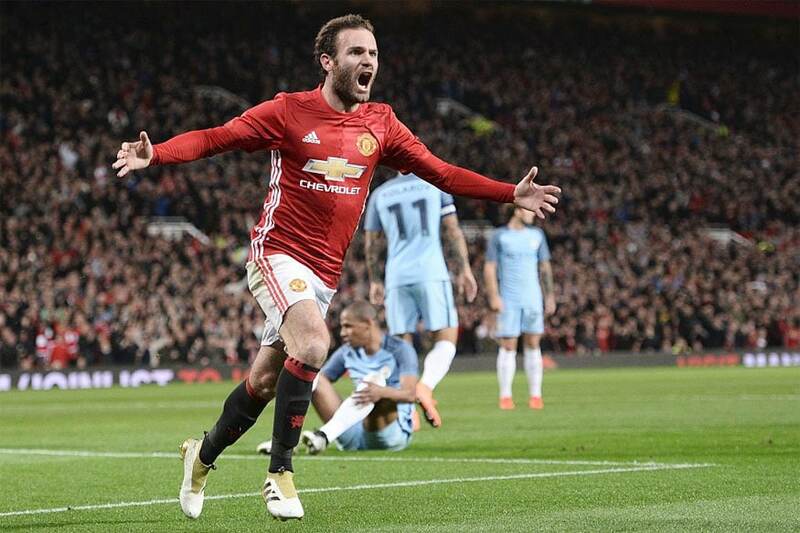 They may not win the war but their comeback victory at the battle of the Etihad Stadium last weekend ensured that the Red Devils would not suffer the humilation of conceding the championship to City, delaying the inevitable rour of triumph from their noisy neighbours for at least a couple of weeks. United’s second-half performance at Eastlands may have been as good as they have produced under Mourinho’s management, as they came from two goals down to claim a dramatic fifth top-flight win in a row. That is their best run of the season, and has included three come-from-behind victories. Despite Pogba’s success in a more advanced role against City, Mourinho may not feel the need to include Ander Herrera in his midfield at home to the rock-bottom Baggies, which frees up an extra attacking space. Anthony Martial and Marcus Rashford have both found starting opportunities hard to come by since the arrival of Alexis Sanchez and it is more likely that Juan Mata is recalled to add guile to the pace of Jesse Lingard and power of Lukaku. Defenders Phil Jones and Daley Blind remain unavailable. Former United centre-back, Jonny Evans, is a major doubt for West Brom having missed the visit of the Swans to The Hawthorns with a knee problem. Caretaker Darren Moore opted for a 4-4-2 formation in his debut match but would be brave to replicate that at Old Trafford, which may mean a return in midfield for Grzegorz Krychowiak and a change of role for Rodriguez out wide. West Brom have won three of their nine league matches against United in the post-Ferguson era, and two of those triumphs have come at Old Trafford. First-half goals from Lingard and Lukaku secured the Red Devils a 2-1 win in the Midlands before Christmas, and they are looking to complete their first league double over Albion since the 2011-12 campaign. United are probably in the best shape they have been in since the early months of the season and could put West Brom to the sword if they get an early goal. Albion’s draw against Swansea is not going to be enough to rebuild the confidence that has been shattered by such a miserable run. Prediction: Man United to win comfortably. West Ham returned to the sort of form that resulted in their disastrous start to the season last weekend as they fell to a thoroughly deserved 2-0 loss at Goodison Park. This ended a three match winning streak that had put them back in contention to have a good season, and what they need to do now is bounce back quickly to avoid another run of poor form. Gokhan Tore, Arthur Masuaku, Andy Carroll, and Diafra Sakho will all have to wait a few weeks to return, whilst Sam Byram is still out. Andre Ayew continues his return from injury though. The big news for Stoke is the major doubt over Xherdan Shaqiri’s fitness, whilst Geoff Cameron is also unlikely to play. Glen Johnson, Stephen Ireland, Ibrahim Afellay, and Jack Butland all remain sidelined too. Stoke have won three and drawn three of their last six meetings with West Ham. Stoke have conceded in 80% of their Premier League matches so far this season, whilst West Ham have in 70% of theirs. I don’t see Stock City losing this game. Prediction: Stock to win away from home.